University of Lagos, UNILAG cut off marks for the 2018/2019 academic session admission exercise. If you scored exactly or above the cut off mark prescribed for your course, that means you have a higher chance of being admitted, and getting marks below the cutoff means you may not be considered for admission. The management of the University of Lagos (UNILAG) has released the departmental cut-off marks for the 2018/2019 academic session admission exercise. 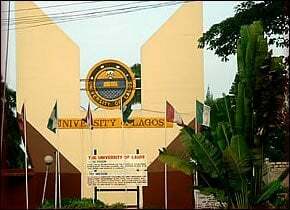 The University of Lagos (UNILAG) is a federal government research university in Lagos State, southwestern Nigeria. The university has remained one of the most competitive in the country in terms of admissions. UNILAG has one of the largest student populations of any university in the country. Comment Text*Will there be aggr. 4 DE applicants afta screenin? will there be aggregate for direct entry students after screening? I have 67.5 and I want to study Elect-elect.Are there still chances for me to be admitted. Comment Text*my aggregate is 54.475 and the cutoff for my course is 54.775 is there still a chance for me to gain admission or I need to change course?